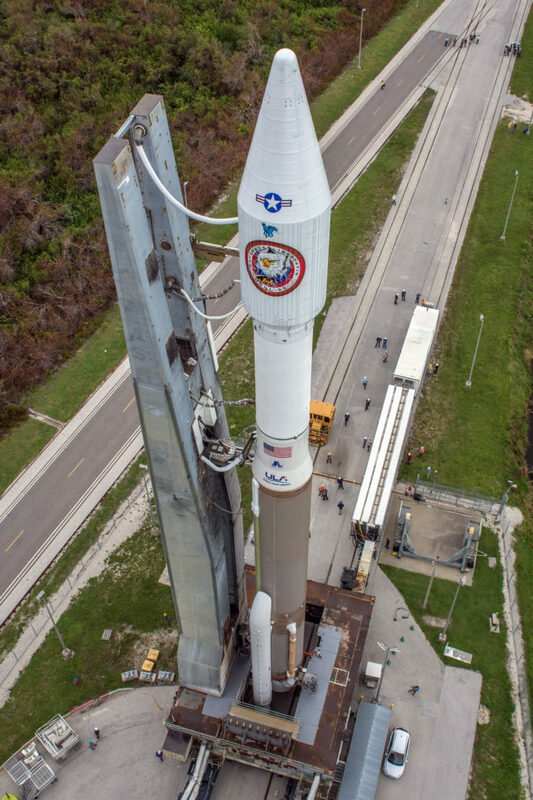 CAPE CANAVERAL — Riding the rails between its assembly building and the launch pad, an Atlas 5 rocket topped with a clandestine national security satellite was rolled out this morning for Thursday’s liftoff at 4:07 a.m. EDT (0807 GMT). 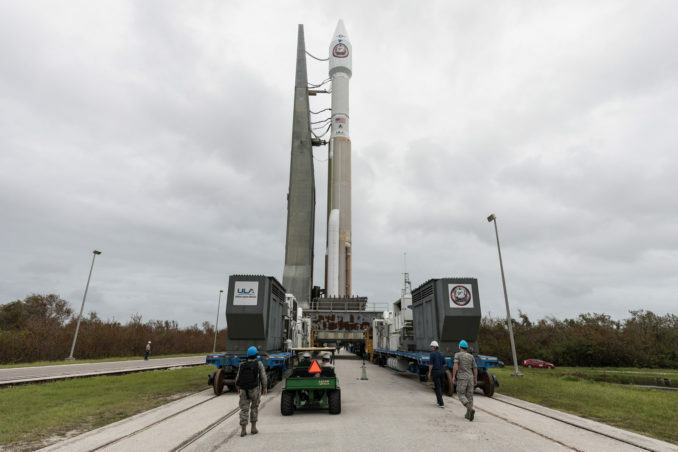 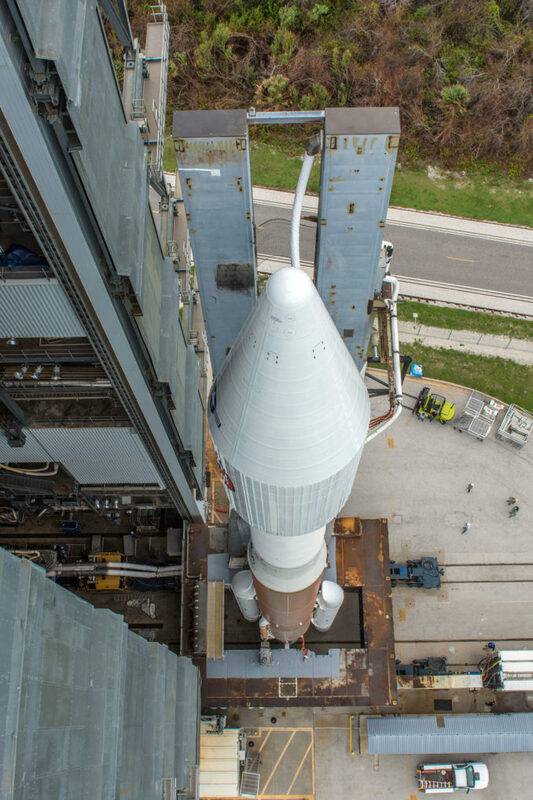 United Launch Alliance technicians executed a smooth transfer in windy conditions, moving the 194-foot-tall rocket atop its 1.4-million pound launching platform the 1,800-foot distance. 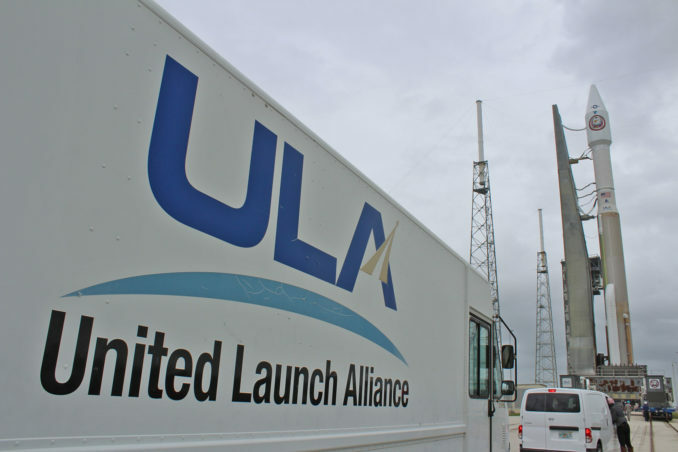 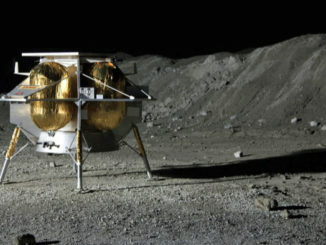 The trek from the 30-story Vertical Integration Facility to the Complex 41 launch pad used specially-made “trackmobiles” to carry the vehicle. 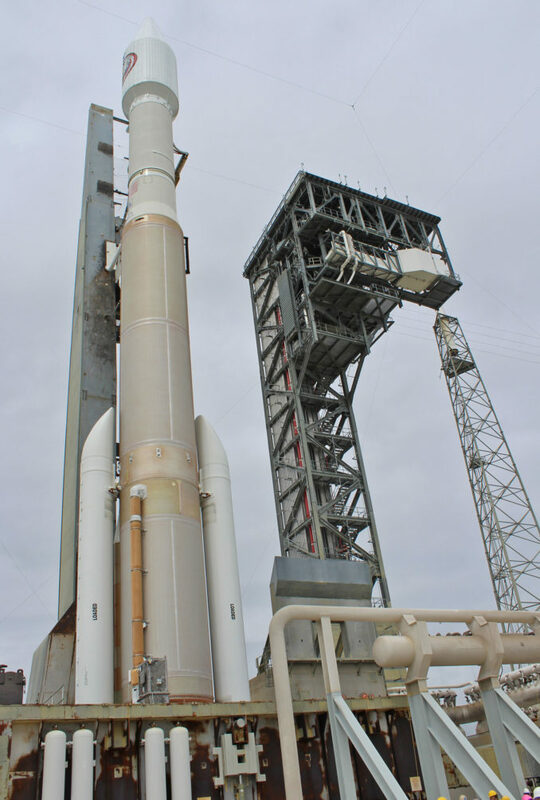 Once at the pad, autocouplers were engaged to feed the rocket with its commodities from the ground. 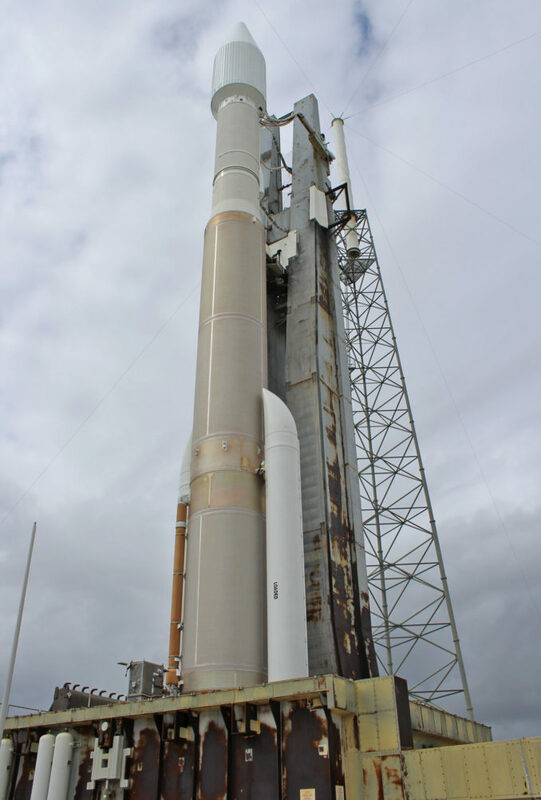 The launch team has begun its crew sync period to adjust for the overnight countdown operations. 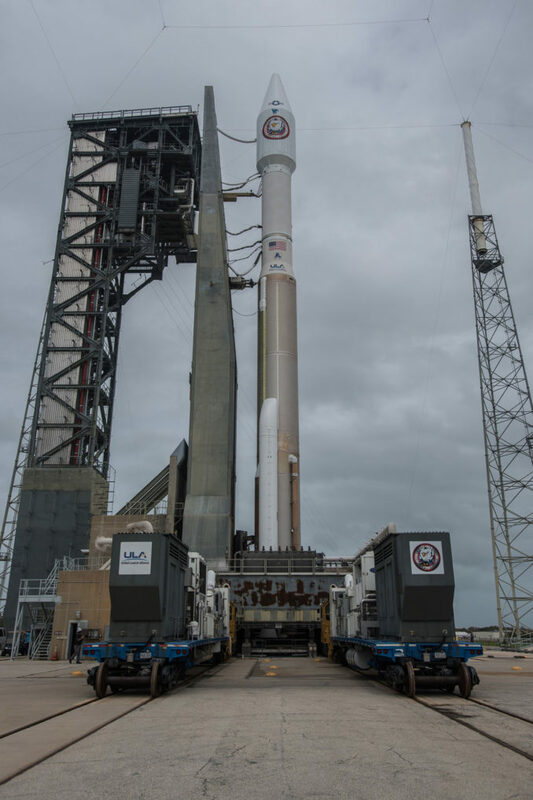 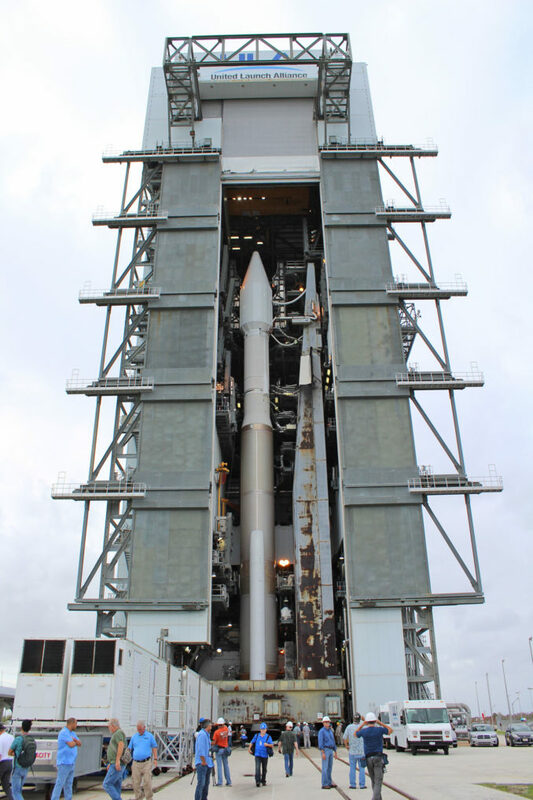 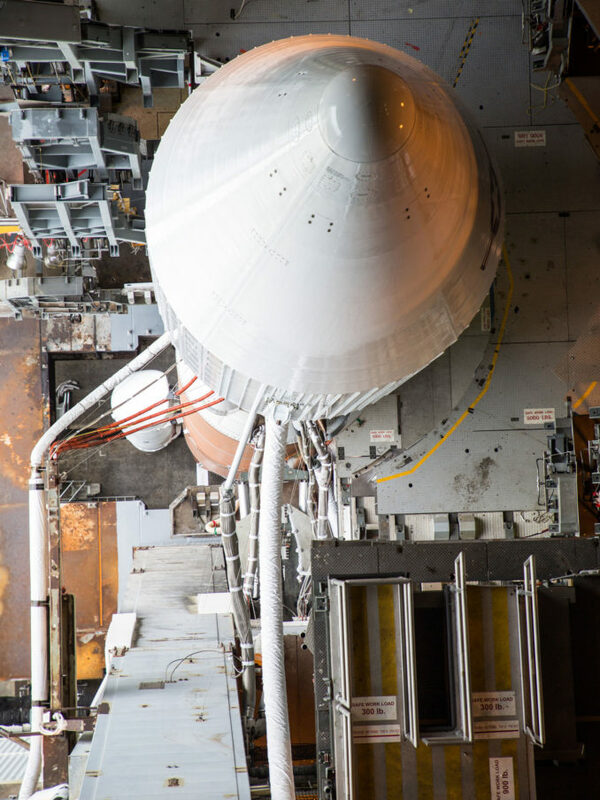 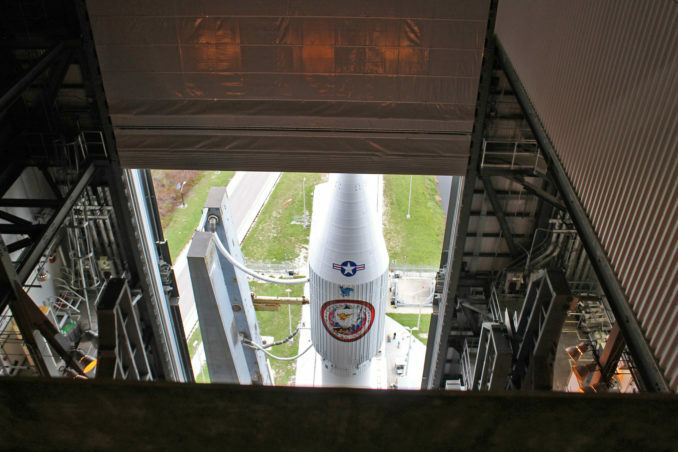 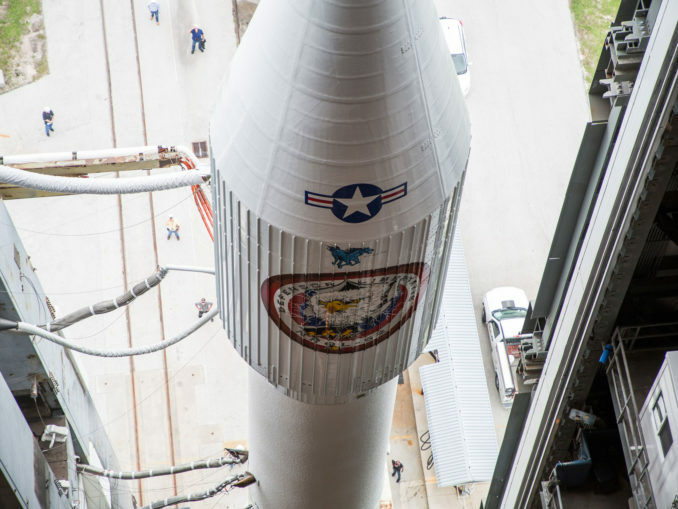 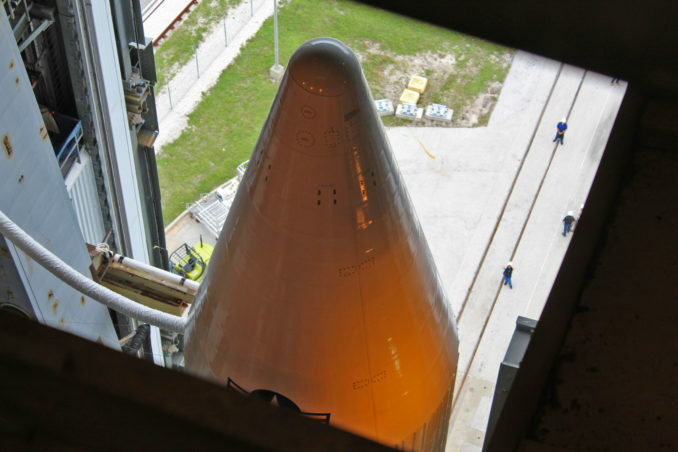 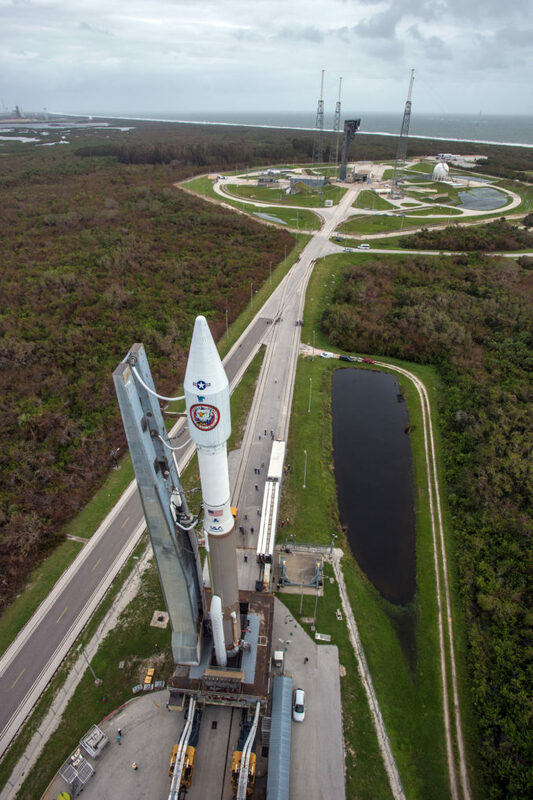 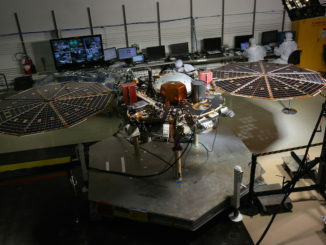 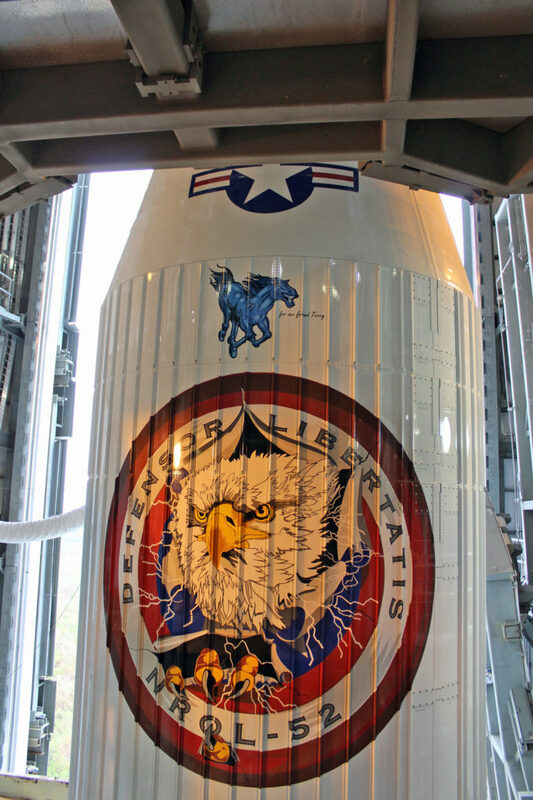 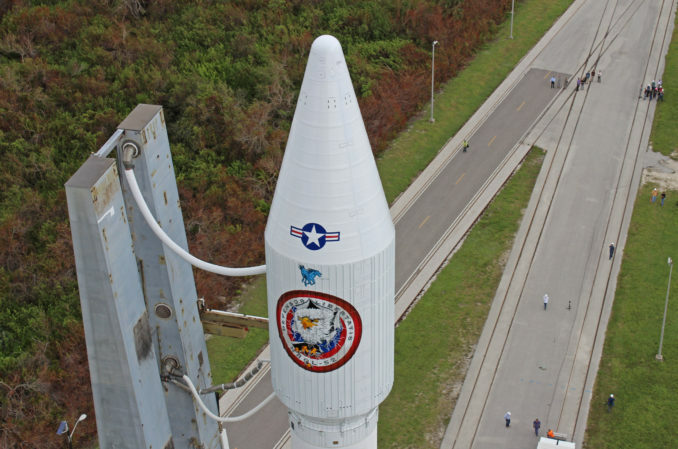 Clocks begin ticking Wednesday evening for the seven-hour process to activate the Atlas-Centaur, run final tests and then fuel the stages with cryogenics. 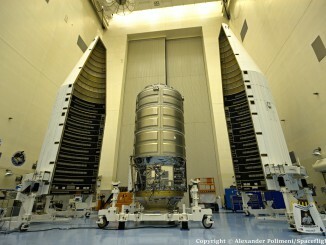 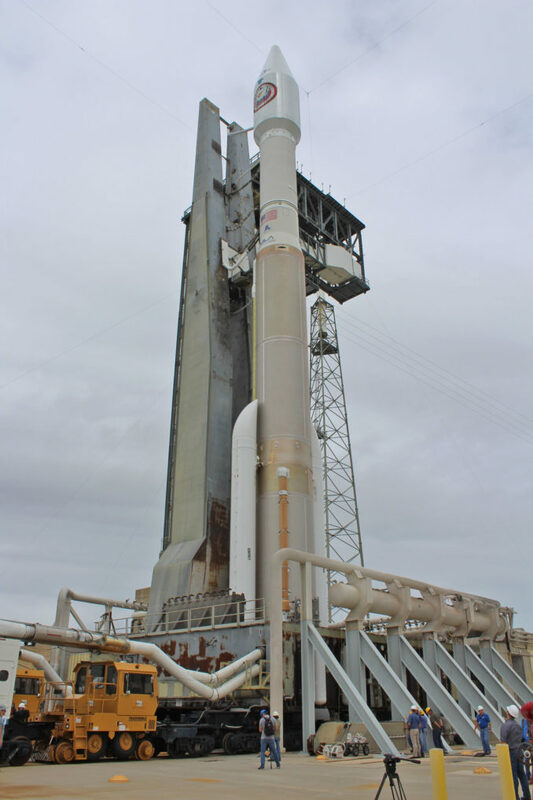 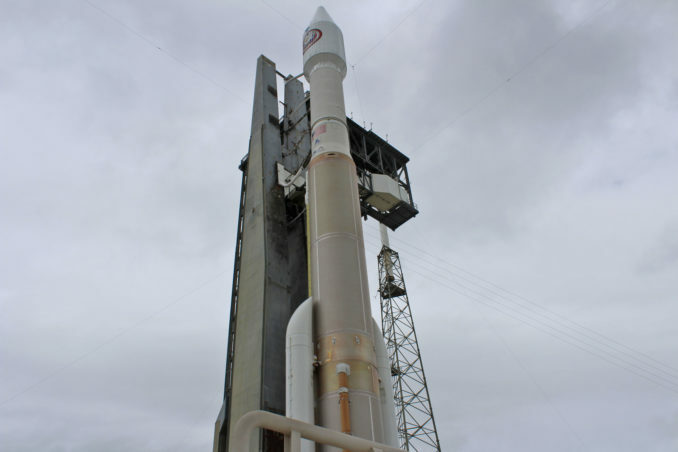 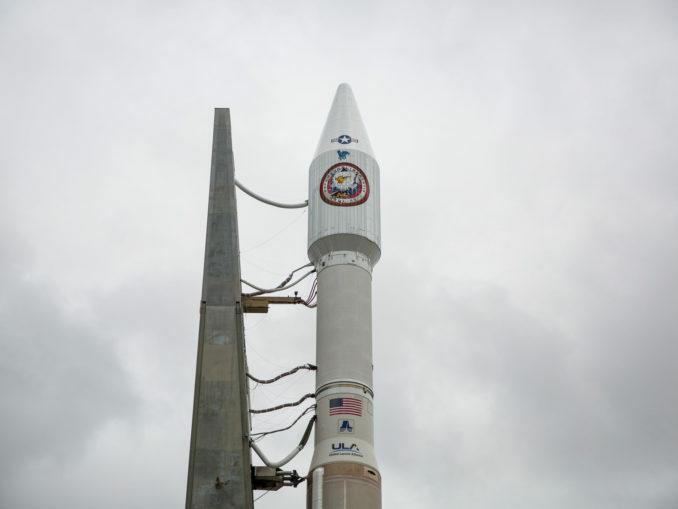 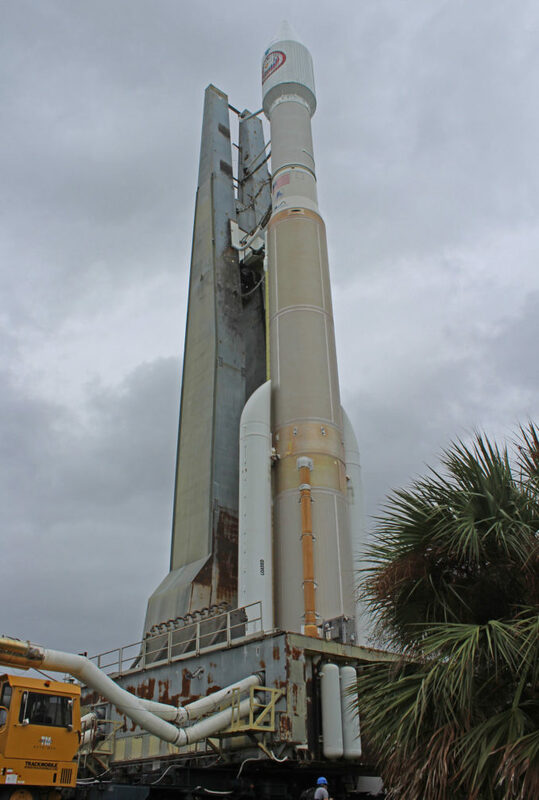 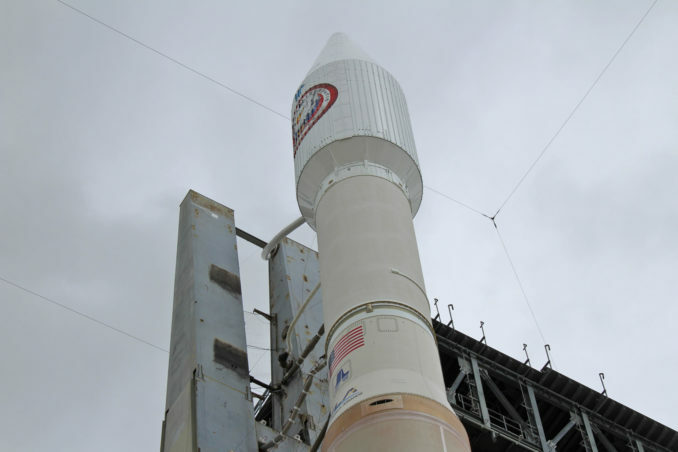 Weather forecasters continue to predict a 60 percent chance of favorable conditions for liftoff.